Nate the Great loves his mother's Monster Cookies. Her Strawberry Draculas, her Chocolate Frankensteins, and especially her Cinnamon Werewolves. 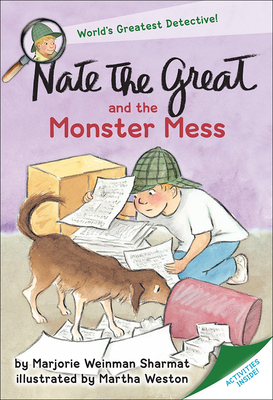 But now her Monster Cookie recipes are missing Nate, the great detective, has never solved a case for his mother before. Can he do it? With his dog, Sludge, Nate gets to work. They look, sniff, climb up, bend down, push, and pull. They find long and short clues. Crinkly, wrinkly clues. And fishy, fangy clues. But which clues count? Can Nate the Great ever hope to eat those wonderful cookies again?